haven't posted on here in years i think. Anyyways, from doing like 35 years of research for my book The Hidden History of the Chinese Internal Martial Arts (its on Amazon), over 300 pages. I STILL am thinking about the formation of the Chen long form (Chen Fake and related) and the Yang long form that comes from Yang Chen Fu. All around Chen village area lots of villages have always had their own "village tai ji quan", which is usually nebulous snake/crane looking movements that have some kind of internal looking aspects to them. also, these places do have internal theory and stuff that looks like push hands, the whole county has internal theory that wound up being documented in the Taiji Classics eventually. You do realize that the material written in such books isn't specifically about Chen or Yang or Wu/Hao style TJQ but about INTERNAL martial arts in general (Which was also written about maybe first by Chang family Nei Jia Quan from Henan, pretty near Chen village). But the Henan village Snake Crane TJ really doesn't look anything like Chen or Yang TJQ. not the forms, not the frame work just that it looks "internal", blah blah blah. What makes Chen - Yang TJQ distinct is that all the postures/movements are placed on a frame (jia in Chinese). This frame is Shaolin (don't scream, I proved this 20 years ago in many articles and in my book, step by step by step). 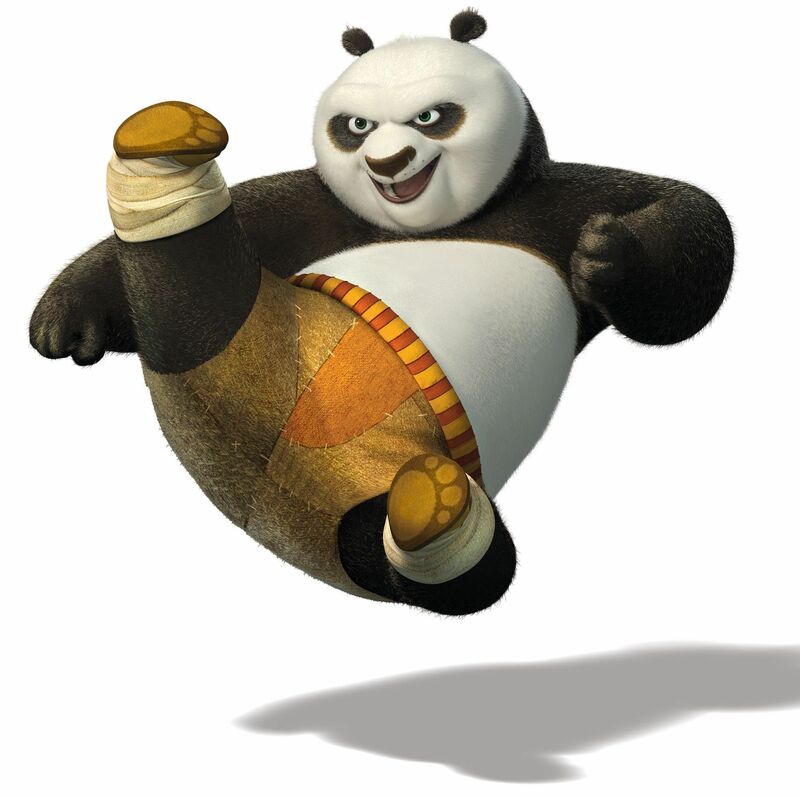 Every posture in the Chen form move by move follows the Shaolin Song Tai Tzu 32 Chang Quan form. Since it is shorter, Chen not only repeats postures but adds more postures from Shaolin Tong Bei Quan, Shaolin Hong Quan, and Shaolin Rou Quan (A LOT OF ROU QUAN). 1. Okay, SO, the YANG CHENG FU long form very closely follows the standard Chen Lao Jia long form. What if, what if, the Chen didn't have anything really put together at the time that Yang family's TJQ was getting popular and they followed the Yang long form and retrofitted it? Because, in some parts of the older versions of Chen Fake's Lao Jia, he has a few extra postures that are clearly found in the Tai Tzu Chang Quan form, but the standard Chen Lao Jia form just glosses past them, when he in fact makes a point of showing them clearly. 2. Also, after reviewing so, so many "Original" Yang, Imperial Yang, Palace Yang, and like 10 other ones claiming to have an older Yang Long form that was close to what Yang Lu Chan taught, NONE OF THEM at all use this Shaolin frame that Chen Fake/Yang Chen Fu TJQ does. WOULDN'T they being "older" be MORE like Chen style, hence following the Chen postures closer? But NO, none of them do at all. What does this mean? 3. AND, the interesting thing about the Wu/Hao TJQ style is that it is even more like Shaolin than the Yang and Chen styles. Both the founders of Yang and this Wu style were friends and they both learned Shaolin Hong Quan first. That is a fact. I can see some parts of Hong Quan in the Wu/Hao Style added in that are not in the Chen/Yang (although there is plenty in there already) and besides that, the Wu/Hao TJQ style not only moves with the body mechanics of but also incorporates postures from Shaolin Rou Quan. I can clearly see it. Also, 95% of the Wu/Hao long form follows the same frame as the Chen/Yang long form, they are all just variations of the same stuff. Having learned Shaolin first and then the big 3 internal arts, i always notice when I doing something in the internal styles that I already know how to do. (plus the Shaolin Rou Quan is learned as varous Qi Gong sets first, which support everything that I have later learned in the big 3 internal arts. It's like learning Latin first, which makes learning the Romance languages more efficient and effective. Anyways, any insights, thoughts on these 3 points? Last edited by salcanzonieri on Sun Jan 20, 2019 1:49 pm, edited 3 times in total. 1. ... What if, what if, the Chen didn't have anything really put together at the time that Yang family's TJQ was getting popular and they followed the Yang long form and retrofitted it? YCF was considered a standardizer and popularizer. This implies that there were other forms prior to his standardization. However, it could also be true that there weren't any "forms" or an entire series of linked postures. Iirc, Ma Yueh Liang's son says that the postures were practiced singly, more quickly, and with more explosive movements. After YCF, most "orthodox" tcc styles have followed the pattern he used. Now, why YCF chose this pattern or where he took it from is an interesting question. 3. AND, the interesting thing about the Wu/Hao TJQ style is that it is even more like Shaolin than the Yang and Chen styles. Is this anything like the Chang Quan you mention? Edit: This contains a longer explanation, but there is also a demonstration that might be closer to what you mean. Is there an example of Wu/Hao style you could present for comparison and to clarify the connection? Last edited by Steve James on Sun Jan 20, 2019 4:08 pm, edited 1 time in total. Really interesting. Looking forward to the book. It makes intuitive and common sense. There is nothing new under the sun. People learned something from those who came before. The taijiquan writings came long, long, long after people knew some techniques for fighting that help the smaller/weaker/slower. I don't really care for the family style politics over origins. Older doesn't mean better. Neither does newer necessarily mean better. Judo came directly from jujutsu. Bjj came directly from judo. Newer is better and more extensive in some ways, but older is better in other ways. As far as the other big 3, it doesn't make as much intuitive sense to me. Of course there was something that came before, that makes sense. I just mean that with xingyiquan, it's very easy to see how and why the unarmed forms came from spear forms. With baguazhang, it's easy for me to believe someone who was good at martial arts came across a monk who walked in a circle (which is super efficient for exercise in a small space), and thought deeply about how this method might be useful to incorporate into his solo training routines (something that was actually new under the sun for once). These days it would be more interesting to take more recent "forms" and combine it with whatever one thinks is "internal". Maybe that would be a good, separate thread. According to Fu Zhensong the founder of Taijiquan is Zhang Sanfeng 张三峰 and after a number of generations it was passed to Chen Zouting 陈奏庭 the ninth generation of the Chen Family in Chenjiagou陈家沟. The well-known Taijiquan practitioners after Zhang Sanfeng were Wang Zongyue 王宗岳of Shaanxi陕西Province, then Wang Laixien王莱咸 (王来咸)in Shanxi山西Province, then Zhang Songji 张松鸡 (张松溪) of Hongtong County 洪洞县, and then Jiang Fa 蒋发of Henan Province 河南. Chen Zouting陈奏庭with the nickname of Yaowu 耀武, an expert of Yijing (Booking of Changes) specialized in Taijiquan and taught to son and brother. Chen Jingbai 陈敬伯had the nickname Changqing长青. Chen Yuhui 陈毓蕙 had the nickname of Chuting 楚汀, he was a successful candidate in the highest imperial examinations, specialized in Taijiquan. Chen Jixia陈继夏had the nickname of Bingnan丙南, and was a successful candidate in the highest imperial examinations, specialized in Taijiquan. This is what I have been pondering about for some time. Everyone says that Chen style is the original Tai chi, but at the same time, even most Chen stylists with some historical knowledge agree that Chen Fake standardised the art and somewhat changed its expression. So when people say that Chen is the original Tai Chi, they don't realise that what they see is not that original Chen, that this refers to something older than they can see publicly being labelled Chen style. Many from older generations, as Ma Yueliang, claimed that Chen family boxing was gone and reconstructed at the time of Yang Chengfu. Maybe not reasonable to believe that they had nothing at all, Chen Fake seems to have been an accomplished martial artist. If not, he wouldn't have been able to establish a name for himself. But maybe the Laojia was constructed or re-constructed to look more similar to what was most popular at that time and regarded as the standard, i.e. the Yang Cheng Fu form. This is reasonable as Yang Tai Chi was regarded as the standard. Something too different would not has been able to sell on the Tai Chi brand. The Wu (Wu Xuxiang, aka Hao, aka small frame Wu) form comes from Chen small frame, it's almost identical. 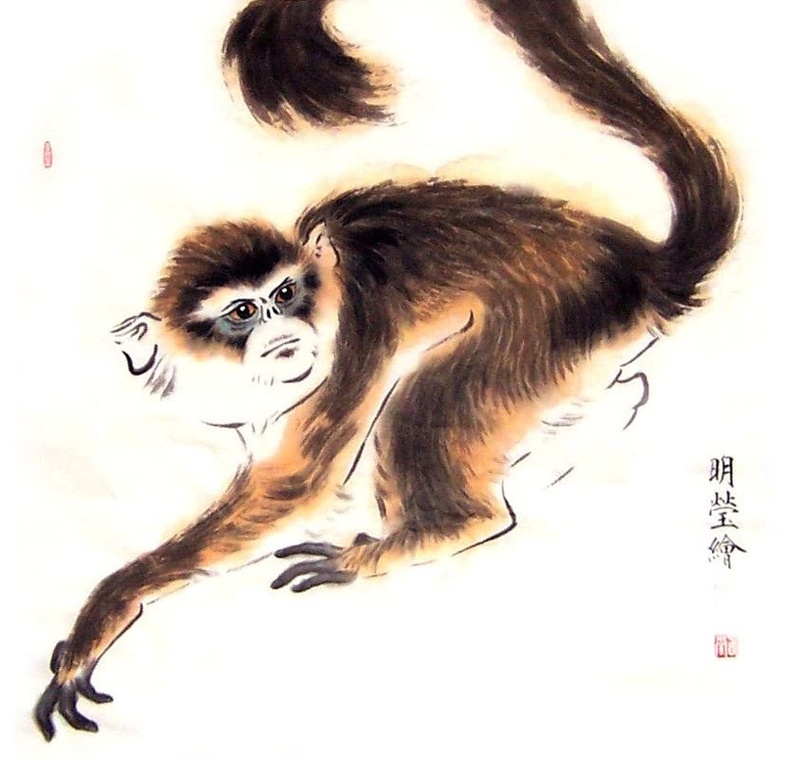 Some people believe that the small frame to be the original Chen form. It's more reasonable to believe that Chen boxing at the time of Yang Luchan looked more closely to the Old Wu (Yuxiang) than modern large frame Chen. If you look at more simple expression of Zhaobao, it closely resembles Old Wu as well. Yang Luchan might have mixed the small frame Chen, or at least a predecessor to Chen Small Frame, with Xiao Hongquan. The problem again is that Chen Small Frame as played today also contains the Buddhist named Shaolin movements that Wu doesn't have. So what was taken away or added later might be another discussion. Last edited by Bao on Mon Jan 21, 2019 1:58 am, edited 2 times in total. "Every posture in the Chen form move by move follows the Shaolin Song Tai Tzu 32 Chang Quan form." I fail to recognise the postures here in Chen Tai Chi - sequence, order, direction, look, way of moving, etc..
Last edited by GrahamB on Mon Jan 21, 2019 3:27 am, edited 1 time in total. The larger frame that YLC created didn't come from the village. He created a larger frame (maybe more a larger medium frame) because he thought that the officials and the courts people who he taught would appreciate large and visually pleasing movements. I.e. they wanted it to look pretty. YCF changed, standardised the Yang large frame, made it bigger and simplified the body method just because he taught very large groups of people and everyone should be able to see and be able to follow what he did and follow. Wu Jianquan and Chen Fake followed YCF's example, they taught large groups and made their movements as large as possible. If something similar to YCF's "large" frame existed before YCF, it was the very low form practice that Yang Shao Hou was known for and this low basin practice was not publicly taught. (YCF achieved such a big belly that could not even bend down to "needle on the bottom of the sea".) History says nothing about if there was any similar practice in the old Chen village. I believe the boxing practiced in the Chen village back 8n YLC’s days where a boxing straight out from Shaolin. Maybe one and the same form where used, but different intent where put into its practice given to each practitioner depending on their personalities and/or bodily built. Maybe YLC not being an local villager had an silighter differen physique and mental output and where taught thereafter? Each of ylc, son's according to history were noted for different skill sets and abilities. Ycf, was tasked with teaching what might be called a public style to the gen public, making it widely known and practiced. Among his students he had two that are widely known in the West who would go on to develop their own unique approachs, tung/dong style and cmc / 37step each modified what they learn but attributed ycf as their teacher. The naming convention of internal external was developed to make it a little more clear as to what the practices developed and used. Last edited by windwalker on Mon Jan 21, 2019 9:01 am, edited 2 times in total. I think the op may be referring to the organization of the long form: i.e., what movement is done where, when, how many repetitions, even the names of the movements themselves. In general, I don't think it's about "how" the movements were done ... because, as you suggest, the different direct successors to YLC did things differently. Anyway, I'd like to know when the form or elements of it were practiced slowly. I think most would agree that there have always been fast parts, and that some styles removed them. I'd argue that Chen style (like all other cmas) is on the tree of cma and wasn't invented out of nothing. So, when was the slow training started? Who did it that way earlier? Or, was that innovation what made tcc so popular and so different from others? Bao wrote: This is what I have been pondering about for some time. Everyone says that Chen style is the original Tai chi, but at the same time, even most Chen stylists with some historical knowledge agree that Chen Fake standardised the art and somewhat changed its expression. So when people say that Chen is the original Tai Chi, they don't realise that what they see is not that original Chen, that this refers to something older than they can see publicly being labelled Chen style. Many from older generations, as Ma Yueliang, claimed that Chen family boxing was gone and reconstructed at the time of Yang Chengfu. Maybe not reasonable to believe that they had nothing at all, Chen Fake seems to have been an accomplished martial artist. If not, he wouldn't have been able to establish a name for himself. But maybe the Laojia was constructed or re-constructed to look more similar to what was most popular at that time and regarded as the standard, i.e. the Yang Cheng Fu form. This is reasonable as Yang Tai Chi was regarded as the standard. Something too different would not has been able to sell on the Tai Chi brand. I don't really know what are the origins of Taijiquan. I strongly suspect that no one on this board does either, possibly no one alive does. I don't really care that much, however. We are all free to speculate as much as we like. However, it would be nice if the speculation had at least some basis for plausibility. Last edited by charles on Mon Jan 21, 2019 10:30 am, edited 2 times in total.